The traditional beef cut for roasting is Topside/Silverside. Taken from the hindquarter, the Topside is a lean and tender cut of meat. Both cuts are rolled and left with a sheet of fat around them to stop them drying out. 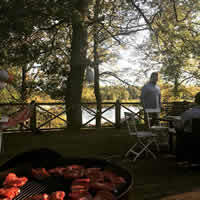 Sirloin is also taken from the hindquarters, producing another cut of tender meat ideal for roasting. The Rib of Beef is marbled with fat and makes for a juicy flavoursome roast joint. The bone can be left in or removed. 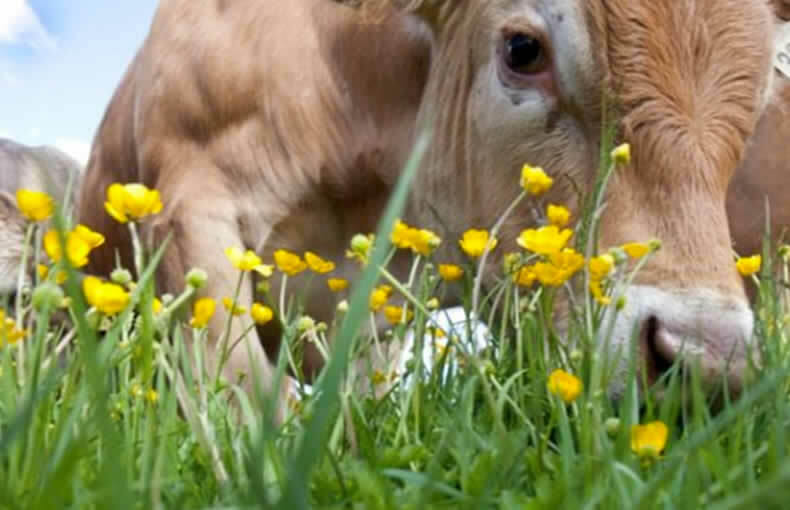 So why do we all get so excited about well-hung British Beef? We always hang our beef to develop flavour and begin the natural tenderising process. Properly hung meat may not look as pretty as freshly slaughtered meat, but there is good reason for that and it's what you should be looking for, not avoiding. After slaughter, the breakdown of oxygen in the blood produces lactic acid and it is this which tenderises meat, adding flavour in the process. If an animal is stressed at the time of slaughter, then the muscles use the oxygen in the blood beforehand and lactic acid is not formed in the same quantities. 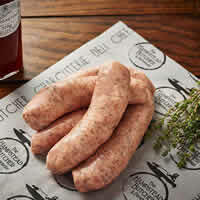 It takes time for lactic acid to tenderise meat and indeed for gradual water loss to further concentrate the flavour. Commercial restraints on supermarkets mean they simply do not hang their meat for long enough - it is on the shelves as quickly as possible after slaughter. This results in the meat being tough and tasteless in comparison to meat that has been properly hung. We always have beef aged from just 7 days up to 28 days and even beyond that for the connoisseurs. 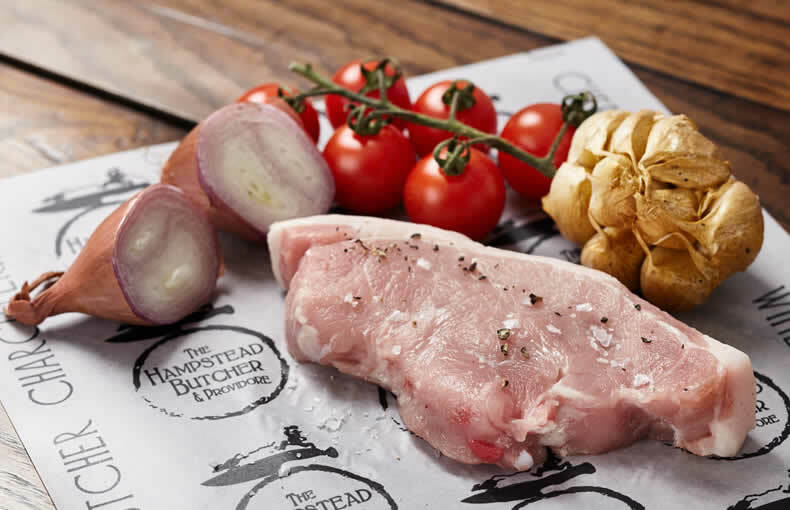 Each week we seek out the best quality and value for our customers from suppliers at London’s Smithfield Market and directly from our farms in the English countryside of Sussex, Kent, & Oxfordshire. We use breeds such as Limousin, Lincoln Red, Simmental, Angus & some cross breeds all heralded for their great qualities, hardiness and yields. We always have a great selection of oven ready, hand tied roasting joints, as well as selected cuts and ready prepared/marinated dishes available in our counters for you to choose from. Accompaniments make any Roast dinner complete. 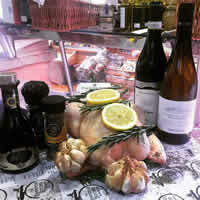 Don’t forget to look for flavoursome gravies, stocks, sauces, fresh herbs and cooking advice from our team of butchers! 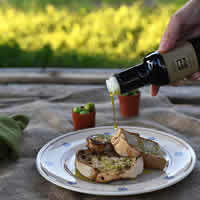 You can also find cooking tips and roasting times on our website. How do I cook my Roast Beef? Well this week I’m tempted to slow pot roast a nice piece of Brisket or maybe a pink roasted Topside joint. They are both great alternatives to the King of all Beef roasts (in my opinion) the ‘Rib of Beef on the bone’!! 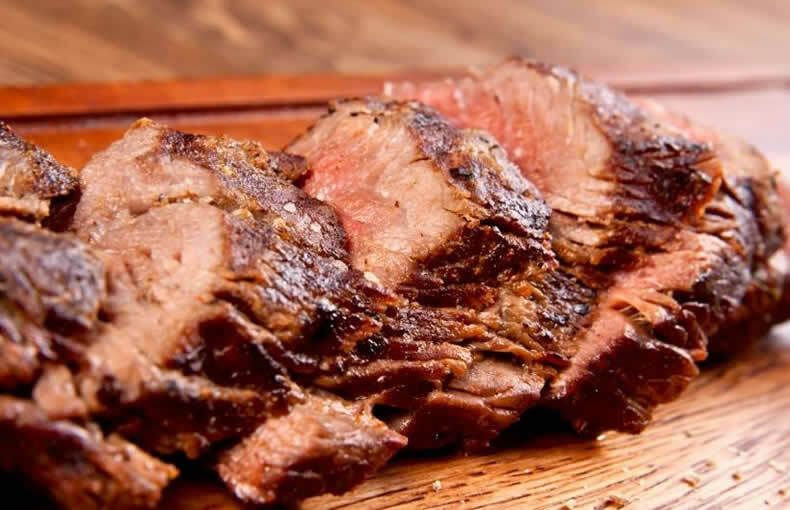 When it comes to serving Roast Beef I love how many sauces you have to choose from.…madeira or red wine jus, fresh tarragon & mushroom or the classic creamy Horseradish sauce or hearty mustard. Another tip would be to roll the joint in cracked black peppercorns before roasting. Delicious! I’ll probably be having my perfect roast with some creamy leeks, broccoli florets, potatoes roasted in the dripping alongside the meat and a pile of roasted carrots. Oops! And of course gigantic Yorkshire puddings (I hope!). We have the ingredients for them in our Larder section. 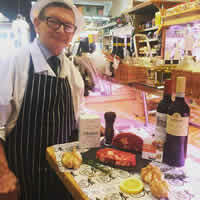 A top quality beef joint deserves a top quality glass of wine and Avie, our in-house sommelier recommends Chateau Haut Bourcier Premier Cotes Blaye or Bodega Colomé Estate Malbec 2010. And that is how I’ll serve up the perfect Roast Beef this Sunday. For all the nutrients you get when you serve up a meaty meal, there are 3 big ones that are worth getting to know a little better. Make the right selection at the Butcher’s counter and you’ll be feeling that extra mojo from the food you eat. With so many different logos and marks to look out for when it comes to assuring the quality of meat, do you know what to look for and what’s important to you? We’ve defined a few of the main ones (and the ones that are important to us! ).